Urban homesteading in the humid subtropics. 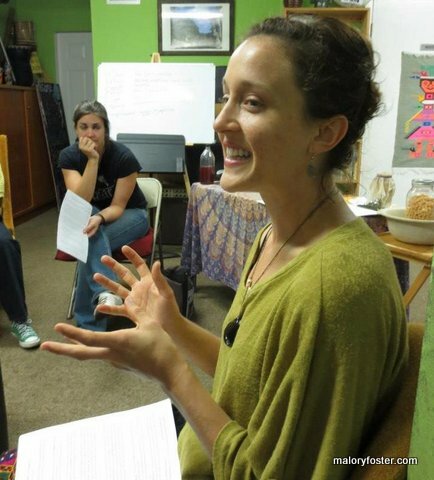 One week from today, will be a day of Fermentation Fervor at the Florida School of Holistic Living! I chose the name to honor my fermentation mentor, Sandor Katz, who enjoys the term. I have been looking forward to this all-day intensive for some time now, and I’m so excited to share it in only one week! All of my classes at FSHL have been super fun, and I always meet the greatest folks. I expect this class to be extra fun because we’ll get to spend all day together and do much more tasting (see lunch menu below) than we do in the shorter Fermentation Fridays classes. Hope to see you next week! Kraut-chi: Become a master at the classic vegetable ferments – sauerkraut and kim chi! It’s not the canned, bland kraut you’ve seen at the store, and kim chi just might become your new favorite condiment. 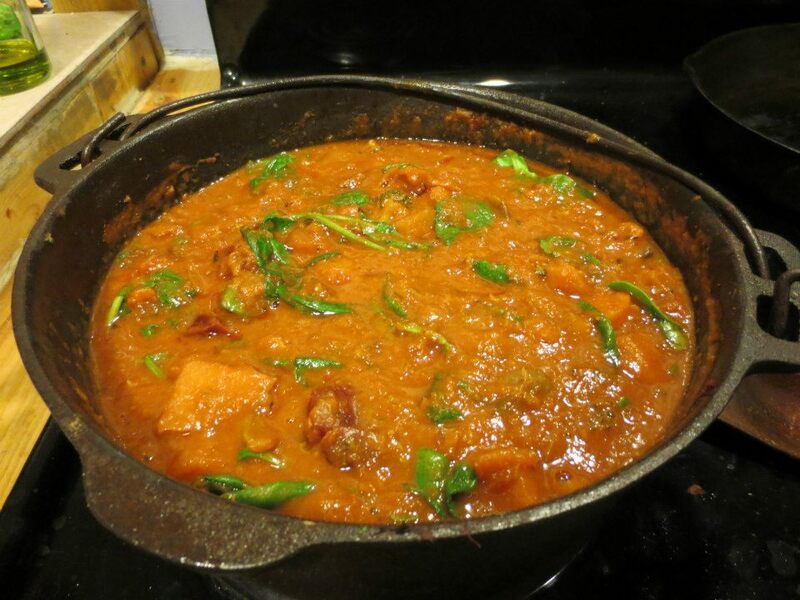 Tempeh: Learn to make the fermented delight loved by vegans and carnivores alike – tempeh! Store-bought tempeh will never taste the same again once you see how easy and delicious it is to make yourself. 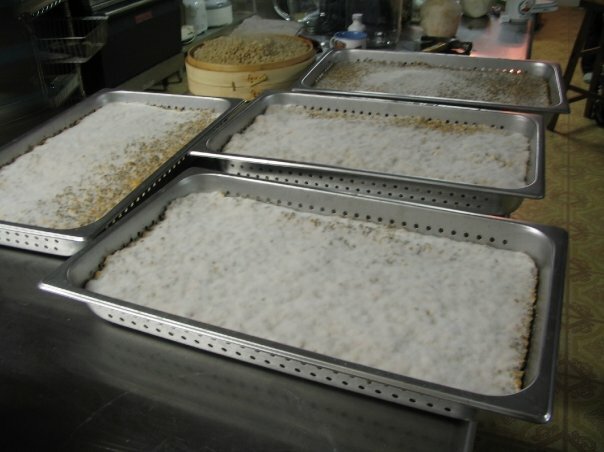 We’ll discuss the tempeh-making process, demonstrate it in class and taste fresh tempeh. 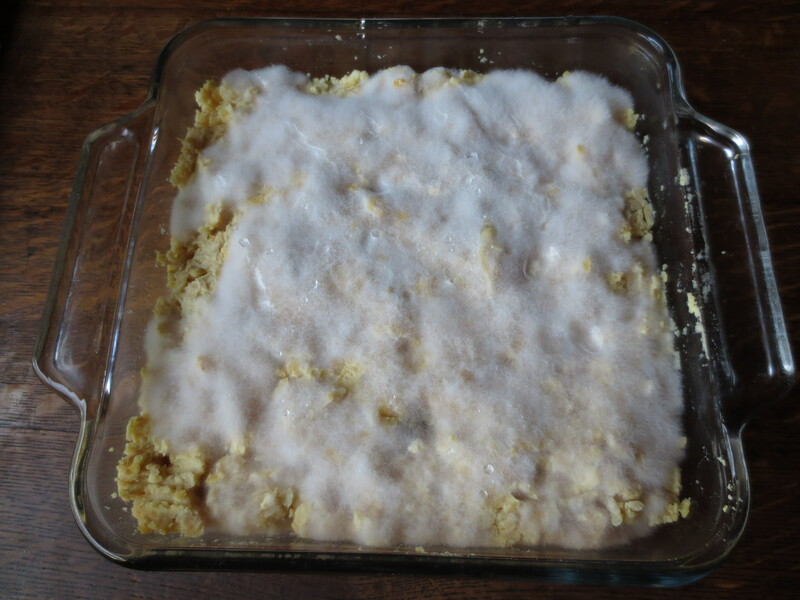 Soy-free tempeh is easy and delicious. Sourdough Bread: We may not be in San Francisco, but you can learn how to make real sourdough by enticing our wild Central Florida yeasts. We’ll go over the intriguing American history of this ferment, experiment with flavors and a variety of recipes to pack a new flavor punch in your homemade breads and pizza crusts. Gluten free recipes too! Ginger Beer: Real fermented ginger beer is a bubbly, refreshing and delicious soda beverage originating from Jamaica. Water Kefir: Extremely versatile in flavor, depending on your choice of fruit, water kefir is another refreshing bubbly probiotic soda you can make at home. Jun: If you like kombucha, try this version made with green tea and honey! Despite the bias that I am a seasoned fermenter by now, this Michael Pollan article “Some of My Best Friends Are Germs” was one of the best health and nutrition articles I’ve read in a long time. Interesting, thoughtful, research-based, and well-rounded, it opened my eyes to many underlying relationships between bacteria and health which are present in our current Western lifestyle. “A growing number of medical researchers are coming around to the idea that the common denominator of many, if not most, of the chronic diseases from which we suffer today may be inflammation — a heightened and persistent immune response by the body to a real or perceived threat. Various markers for inflammation are common in people with metabolic syndrome, the complex of abnormalities that predisposes people to illnesses like cardiovascular disease, obesity, Type 2 diabetes and perhaps cancer. I could go on quoting the whole article – just read it and enjoy! Venue: My goal in choosing a venue is that it be as inspiring as the contents of the class and facilitate students’ blooming into the ideas communicated and discovered during the session. I currently teach at The Florida School of Holistic Living and I am looking for a venue in Sarasota. The Florida School of Holistic Living is in downtown Orlando. A hub for herbal medicine, natural health, and sustainable living in Central Florida, I am honored to be hosting classes at the School! The classroom is a cozy, bright room with comfortable seating. Check out all of the wonderful classes offered at the School here! Tempeh and Sourdough class at FSHL May 2013. Content: The aim for the content of my classes is to be a springboard for further learning. Content includes discussions on nutrition, history, new and interesting ideas, and at least as many questions as answers. 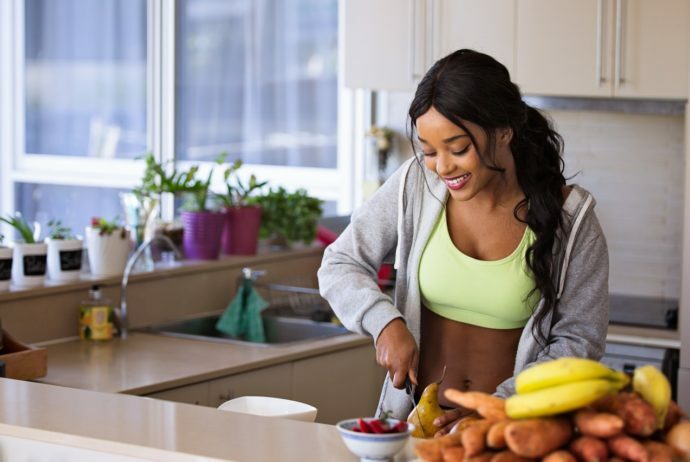 I will bring to the table what I have learned through my training as a registered dietitian nutritionist (RDN) and what I have discovered through personal research and experience. Aged hot sauce and sour pickles class at FSHL June 2013. Interaction: Classes tend to be highly interactive, each person bringing to the class their expertise and experience with the relevant topics. In a very casual manner, discussion is encouraged and new discoveries are made by students and teacher through the sharing of anecdotes, experiences, research and stories. I attempt to connect with all types of learners during the class: auditory, visual and, always, experiential. Class usually begins with introductions. At the beginning of class, I will ask everyone to introduce themselves and say a little about what they do or are passionate about in life and what part of town they reside in. This helps me to get a sense of my audience and also for members of the class to connect with each other. Many fun and important connections are made through these classes! I will have a handout with relevant notes and recipes for those visual learners, and we will begin going over the topic at hand verbally. If you attend a food-related class, we’ll likely be creating at least one recipe during the class. (Hands-on learners rejoice!) Group discussion helps to further our learning, so please feel free to ask a question or share a relevant story at any time! Making sauerkraut at Empath Yoga Teacher Training April 2013. Results: My hope is that after the class, you will feel inspired and equipped to try it on your own. Whether you learn to make sauerkraut or keep a food diary, I hope by the conclusion of the class, you will feel ready to take action and make positive developments in your life by starting a new practice, recipe or thought pattern. I also hope that taking my class is just the first step in a series of new and interesting discoveries in your life of learning. 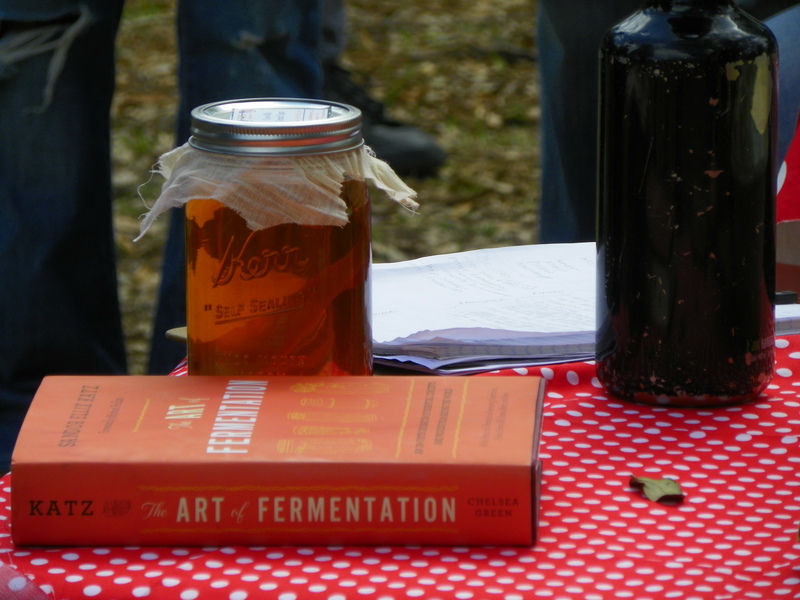 Kombucha, aged hot sauce and kim chi class at the Food Forest March 2013. 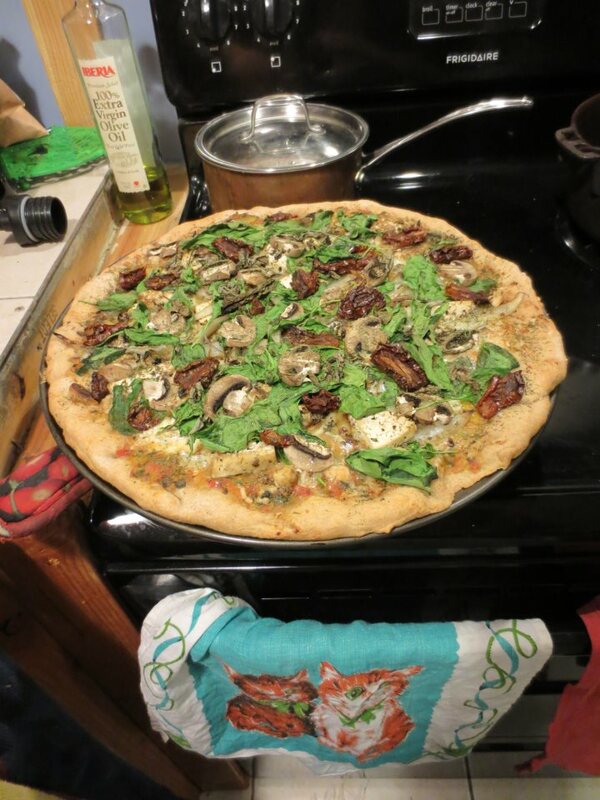 And now for a short introduction on homemold… I mean homemade tempeh. 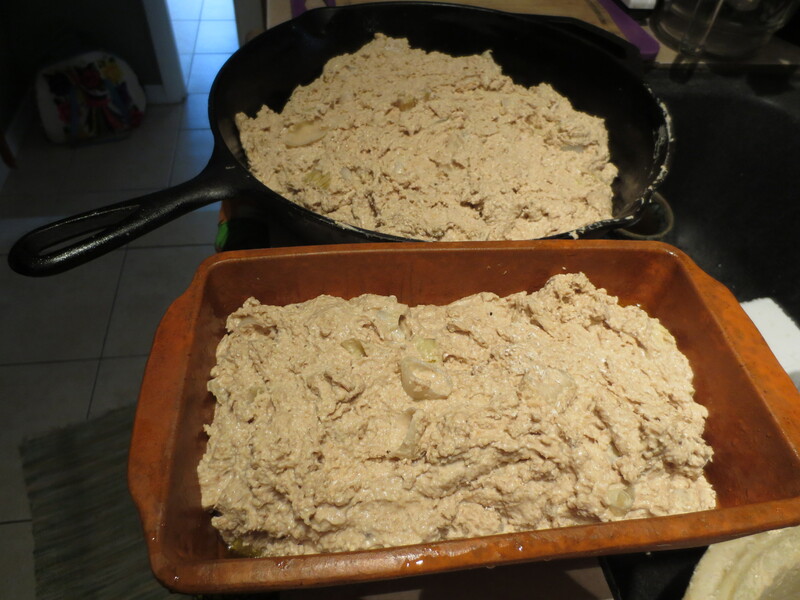 I’m teaching a Fermentation Fridays class on May 10th where we’ll be making sourdough starter and tempeh, and since I already blogged on sourdough, I thought I would give a quick picture story of tempeh to whet your appetite! 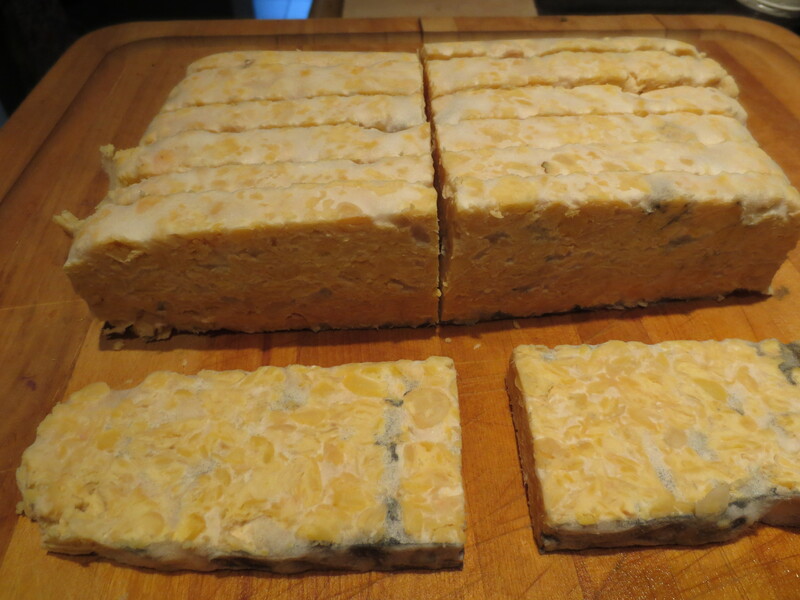 The following is chickpea tempeh. 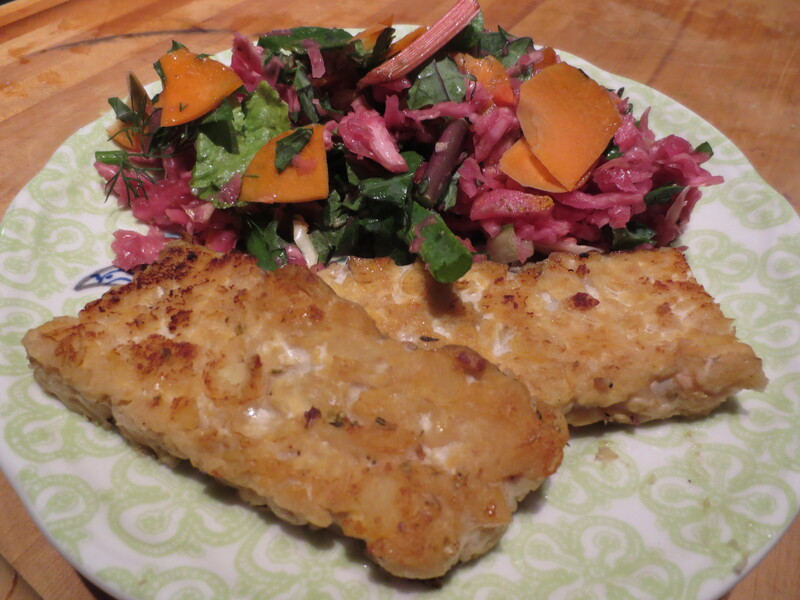 The tempeh is a success – see the white Rhyzopus oligosporus? Neat slices make it look more like what you’re probably used to seeing at the store. 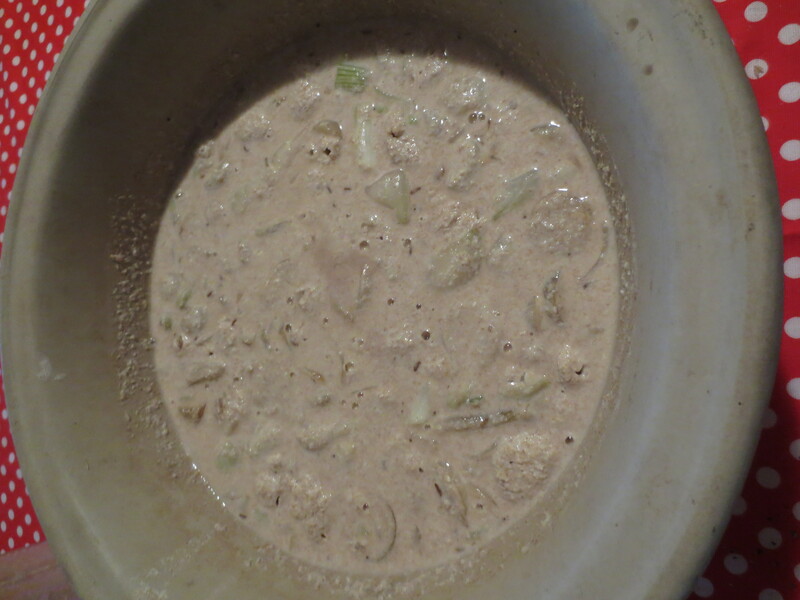 The darker points are where the mold has begun to sporulate. All sauteed up! Too bad we ate all the sourdough bread; we could have had a delicious homemade tempeh reuben with sourdough, chickpea tempeh, kraut and garden-fresh greens. Time to whip up another starter! If you’re in the Orlando area, I hope you can make it to my tempeh class May 10th. 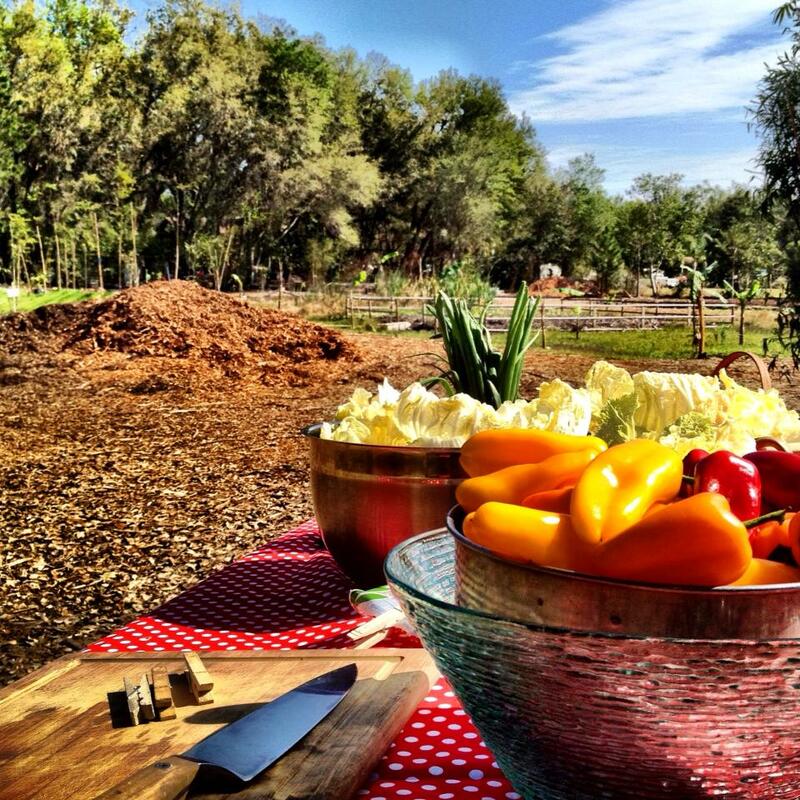 If you’re in the Groveland/Clermont area, keep an eye on my class calendar, as I’m planning a new slew of classes at the Food Forest for the upcoming months. 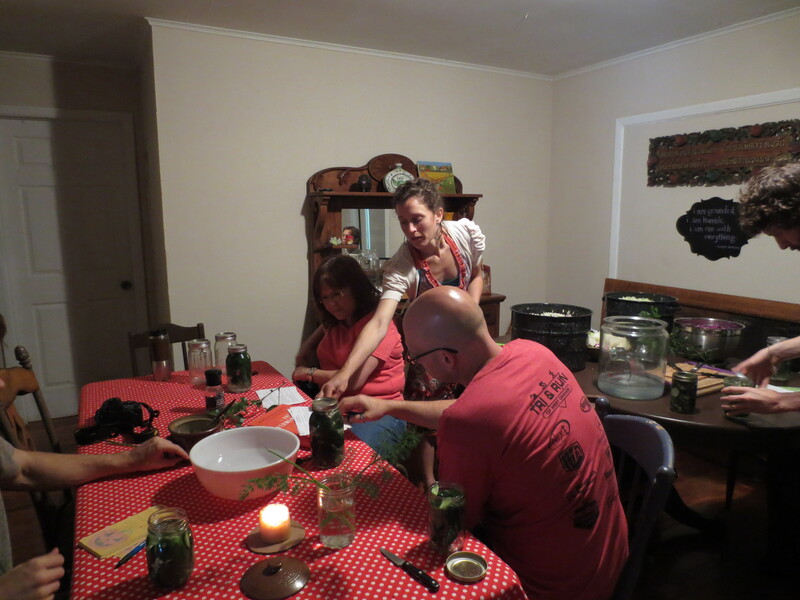 Marsha, Jay and I working on pickles. Look at all that kraut-to-be! Pickles! Thanks for taking the awesome pictures, Anthony Pagillo! The onion caraway sourdough sponge. Check out those bubbles 24 hours later! The final sourdough rise in the loaf and cast iron pans. The finished loaf! It is pleasantly sour, crunchy on the outside, soft in the middle, all with the help of the wild yeasts living in our home and on the organic local strawberries added to the sourdough starter! 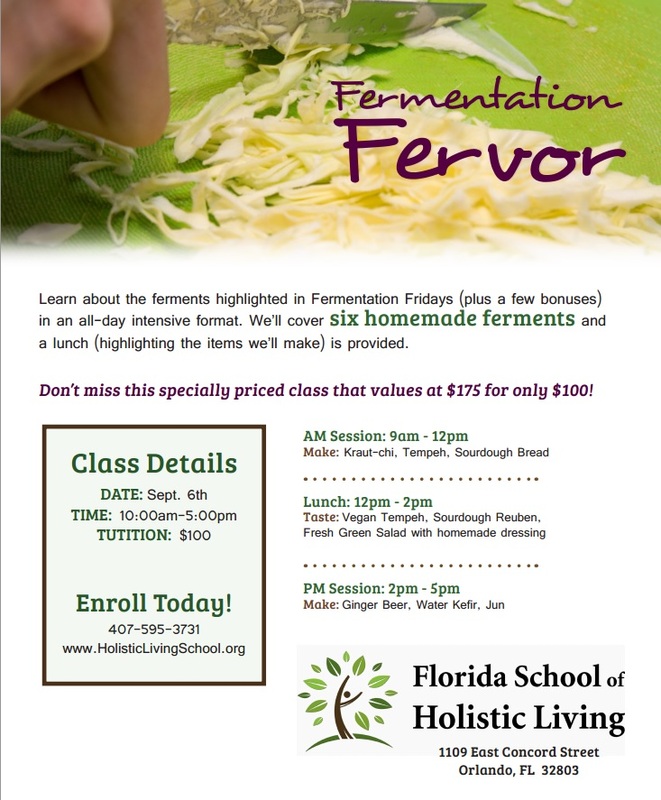 I’m greatly anticipating the next series of fermentation classes I’ll teach at the Florida School of Holistic Living beginning April 19. It should be a fun, relaxing Friday night of fermentation learning and practice! 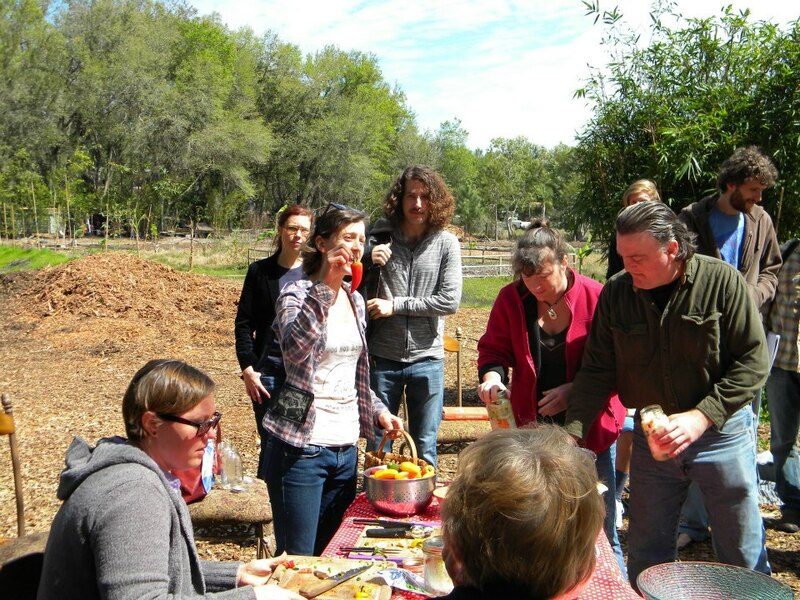 I am also busily brainstorming future classes to be held at the Food Forest. What interests you in the realms of food, nutrition, sustainability and gardening? Leave a comment to make a suggestion or contact me. Thanks and enjoy the the lovely cool spring weather! I am so very honored and excited to announce that I’ll be teaching at another venue – The Florida School of Holistic Living! In April, we will begin the Fermentation Fridays series. It will be so perfect to relax into the weekend with a fun evening of talking fermentation and making delicious aged foods. We’ll be making two new ferments during each class, and participants will get to take home samples of our mouth-watering creations! You can register for the classes through the School at their site. Make sure to bring your jars! See class descriptions below. 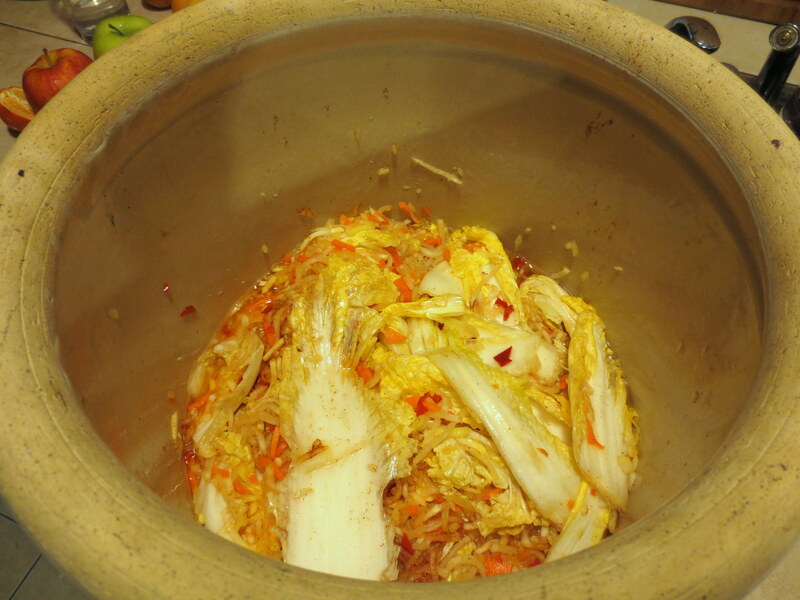 Become a master at the classic vegetable ferments – sauerkraut and kim chi! It’s not the canned, bland kraut you’ve seen at the store, and kim chi just might become your new favorite side dish. Fermenting foods adds flavor and eases digestibility, supplies probiotics, and preserves the harvest. Learn the benefits of traditional fermented foods and how to create them in your own kitchen. 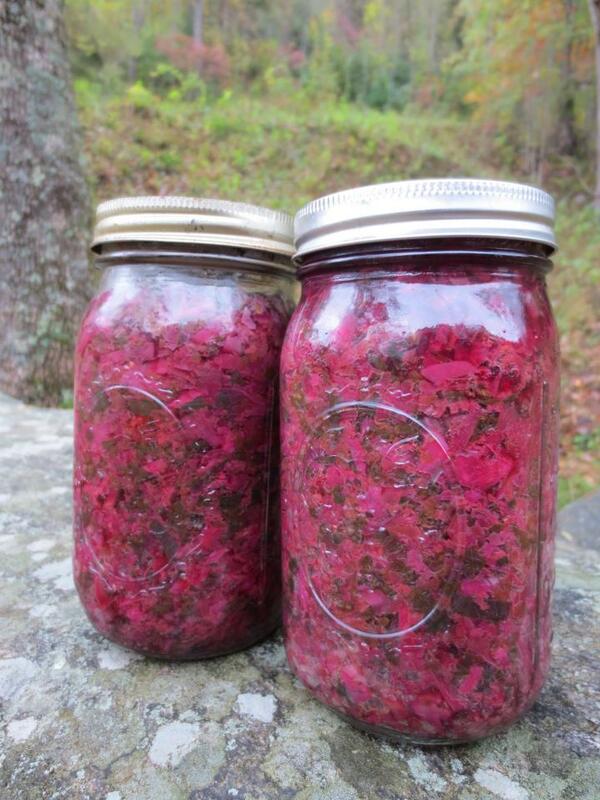 Bring two pint glass jars and lids and take home the kraut and kim chi we make in class. My crock of homemade kim chi! 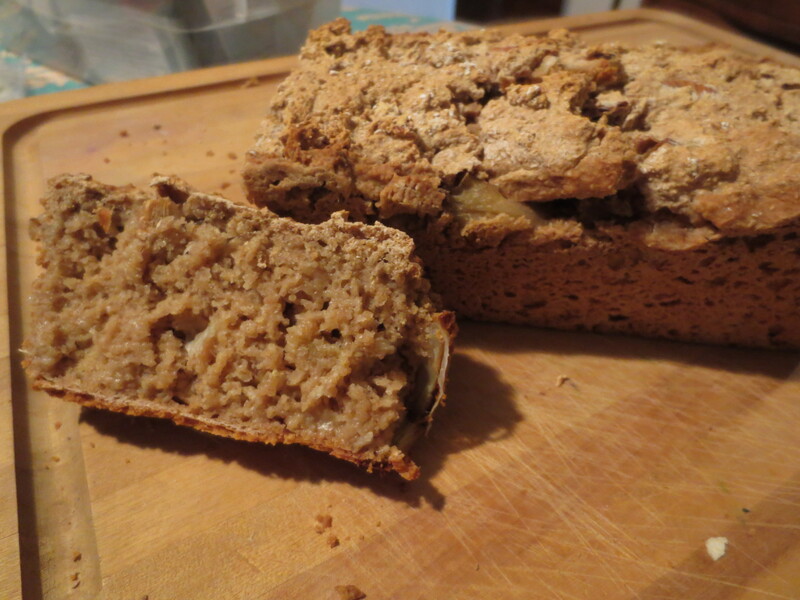 Learn to make fermented delights tempeh and sourdough! Store-bought tempeh will never taste the same again, and your homemade breads and crusts will pack a new flavor punch with sourdough. Fermenting foods adds flavor and eases digestibility, supplies probiotics, and preserves the harvest. Learn the benefits of these traditional fermented foods and how to create them in your own kitchen. Bring a pint glass jar and lid and take home some sourdough starter of your own. Tempeh we made at my food fermentation apprenticeship with Sandor Katz. Spice up your dishes with delicious fermented condiments – fermented pickles and aged hot sauce. Many store-bought pickles aren’t fermented at all, but preserved in vinegar. You’ll learn how to make dill garlicky pickles the fermented way! All the best hot sauces are aged, and we’ll learn the techniques for making a savory, spicy treat. Bring a pint glass jars and and cup-sized jar and lids to take home the ferments you’ll create! What will become aged hot sauce. I hope to see you at one or more of these fun new classes, especially if you’re near the Orlando area. 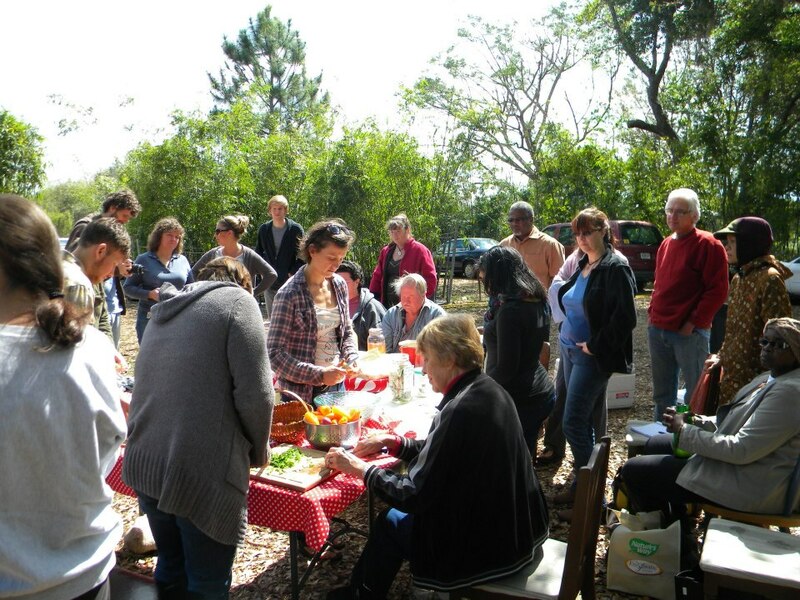 Don’t worry, we’ll still be doing classes at the Food Forest regularly, but it is fun to be able to teach at a new place and get the chance to meet new folks. Check out my class calendar to see the details on all of my upcoming classes! Our second farmers’ market went well. I was lucky enough to have our first two wwoofers, Liane and Anthony, with me to help out this week. Setting up was a breeze once we had the tent set up with the additional help. Anthony and Liane trying to keep warm behind our table. 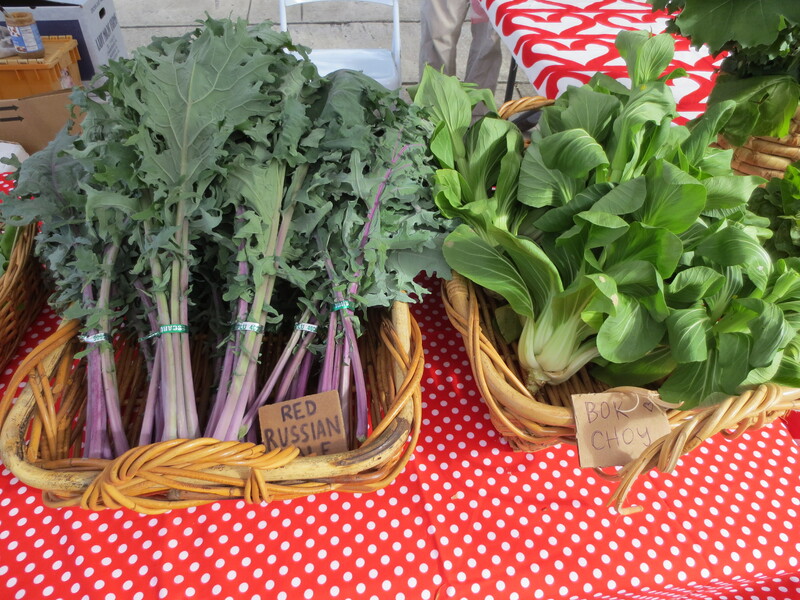 This week we brought more kale (red Russian, Ethiopian, curly Siberian), bok choy, arugula, broccoli, Swiss chard and beet greens. It was great to see repeat customers and hear “See you next week”s. 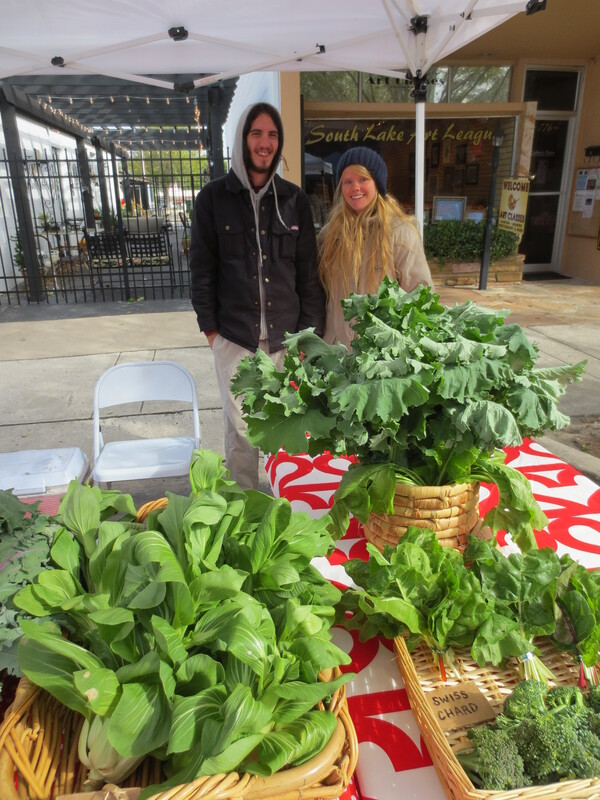 Though it was very cold, we had a great market! We met a couple into food fermenting who were interested in coming to my next fermentation class and two ladies interested in my kitchen revamp. Making new connections and networking is working out better than expected at the markets – I was just expecting to share some delicious fresh veggies! With continual improvements to our set up, I’m already excited for next week’s market! Another dream came true this week. 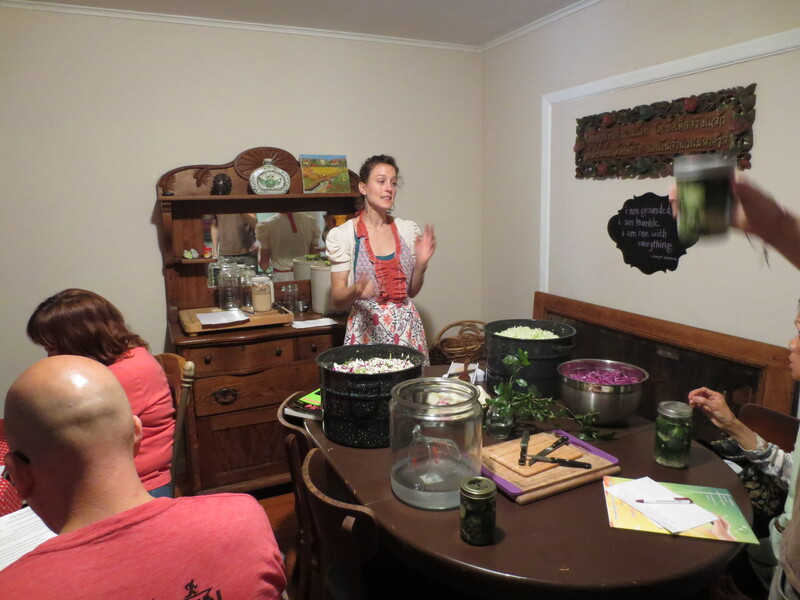 I finally taught my first food fermentation class! Held here at the Food Forest, we made kombucha tea, kim chi and aged hot sauce. With about twenty-five people in attendance, I was a bit nervous to begin, but once folks started talking a little, questions popped up, and before long I felt as though we were all friends learning together. Ever since I did my first fermentation workshop/apprenticeship (of two) with Sandor Katz, I have wanted to share this knowledge and my ever-growing love of fermented foods and the culture that surrounds and is exuded by them. It seemed that I was always too busy, distracted or off on other adventures to do it. Finally, with the timing and setting ripe, it was easy to plan and execute, as well as being extremely gratifying. You know how it feels when you finally get to check a long-procrastinated item off of your list? This was like a life-goal check mark off my list! I feel so honored that the wonderful attendees were receptive to what I had to share and were willing to listen, ask questions and share their own experiences and knowledge. Thank you to all who shared your presence; you are amazing! Beginning the aged hot sauce. 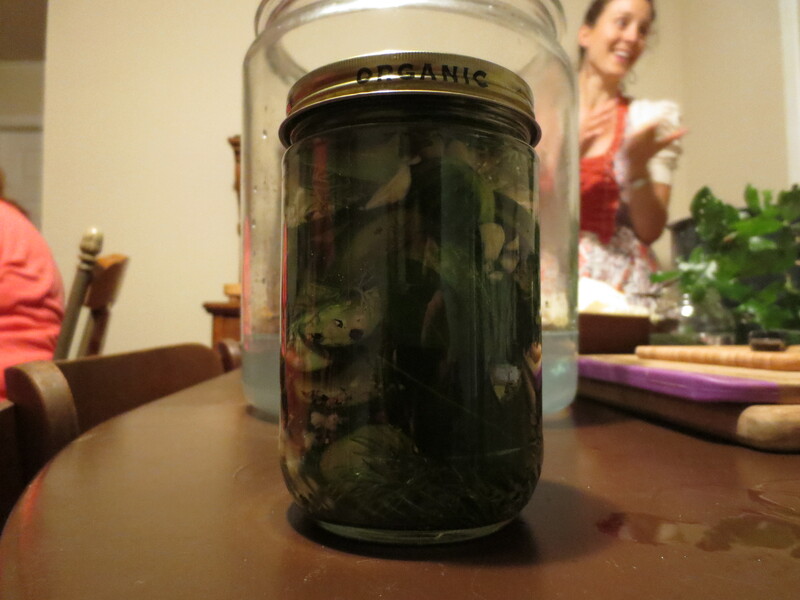 And the best part… I have already planned fermentation class number two! March 23rd (my younger brother’s birthday) it will be sauerkraut, sourdough and fermented pickles. I hope to see some familiar and some new faces then, and I can’t wait for the new insights you share with me that day. Photo credit: Liane Brust. Thank you for all your awesome help! I calculated I’ve been a food fermenter for roughly six years now. For some time, I’ve had my thrifting eye on the lookout for a ceramic crock for making sauerkraut, miso, kimchi, kombucha or anything else you can ferment in a large ceramic vat. I’ve spotted them at antique stores, for which they charge a pretty penny, much out the range of my frugal budget. Well, my maternal grandma came for a visit last weekend, and what did she bring but the most perfect crock ever for me! I tried to contain my excitement as I helped unload it from her car, not wanting to assume that it was for me. As an “Oooh” came from my mom, my grandma told me she had found it for me. After visiting the huge Asian market in Orlando Monday night, I was equipped to make some traditional kimchi, a first for me. I usually make a “kraut-chi,” a term coined by fermentation author, Sandor Katz, which is a blend of whatever vegetables and spices you desire and have available. It doesn’t have to “fit any homogeneous traditional ideal of either German sauerkraut or Korean kimchi… my practice is a rather free-form application of these basic techniques rather than an attempt to reproduce any particular notion of authenticity,” says Katz in his new book The Art of Fermentation. The biggest kraut-chi batch we’ve made! So, on a very hungry aforementioned trip to the Asian market, I saw these beautiful jars of colorful kimchi, remembered a Richmond friend’s tasty recipe, and decided I needed to get the ingredients to make my own. I bought Napa cabbage, a daikon radish, two onions, and fresh ginger. I already had at home the other ingredients: garlic, hot chili peppers from the garden, carros, and sea salt. I followed the recipe in Sandor’s first book Wild Fermentation. First I made a brine of four cups water and four tablespoons salt. I washed and pulled apart the cabbage, used the mandolin to slice the daikon, carrot and onions and put them in the brine to soak overnight. 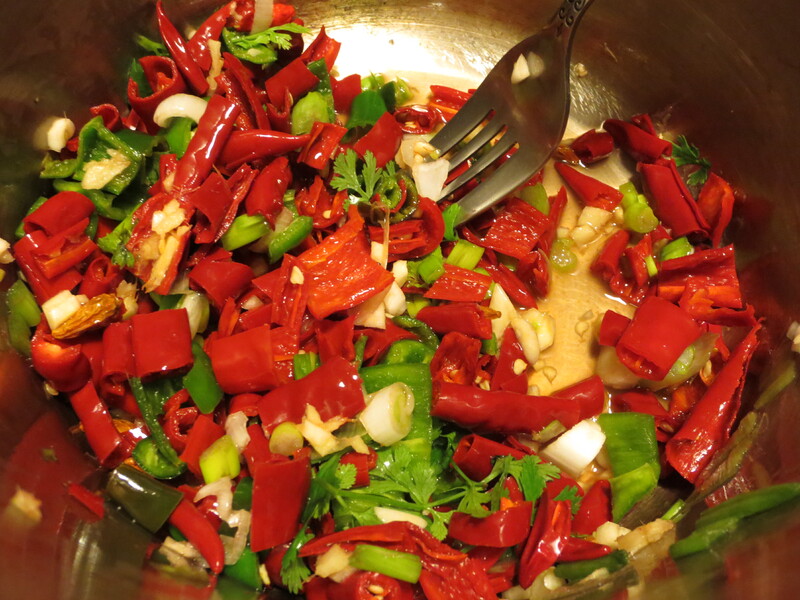 Then this morning, I drained off the brine and added the ginger, garlic and chili peppers, all finely sliced. 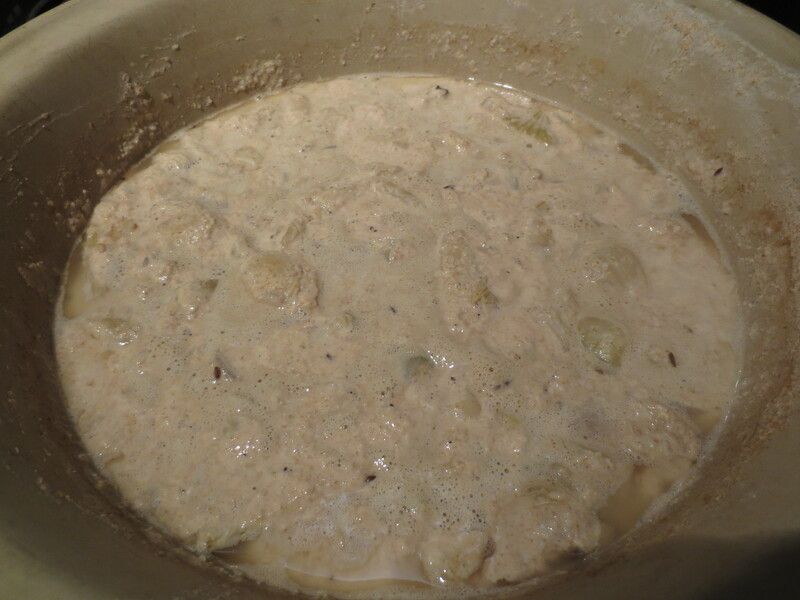 I transferred the whole mixture to the crock and added some of the extra brine to bring the liquid level up to the surface. Plate and jar weight method. I draped a dish towel over it all to keep out dust, kitty hair or any interested flying things. Now, as Tom Petty says, is the hardest part, waiting. 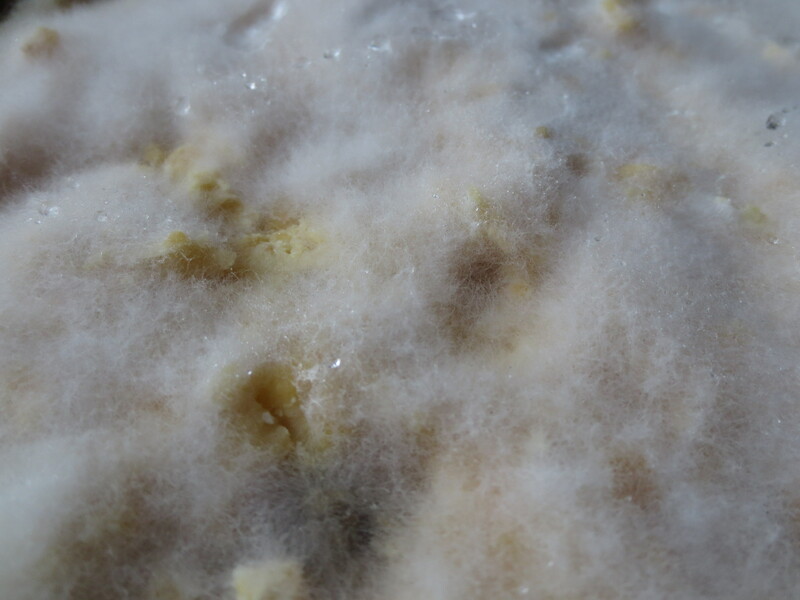 The yummy fermentation smells coming from the kitchen already make it difficult. Luckily we still have about half of the kraut-chi left! Without much perspective yet, looking back on my adventures this summer, I am so glad I did everything I did with wwoofing, traveling and being a “wexer” (work exchanger) at the Southeast Women’s Herbal Conference. I feel I’ve learned so much, clarified my goals (somewhat), and appreciated even more what Mother Earth provides. I’ve rerouted my life, checked wwoofing off my bucket list, and while some things are still ambiguous at the moment (“What do I do now?”), I feel I’m headed in a more authentic direction. 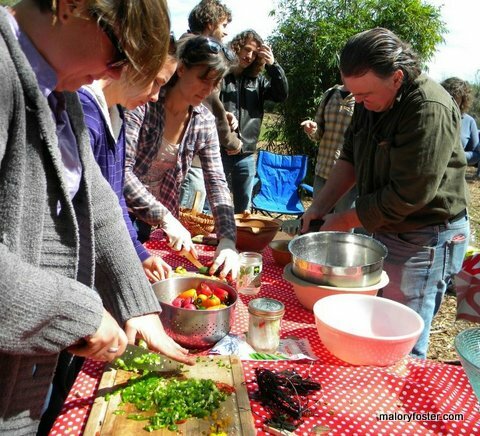 Being a wwoofer for the summer has taught me so many practical skills and lifelong lessons, given me confidence in growing my own food, raised the bar on the meanings of “fresh food” and “sustainable” to me, shown me a diversity of lifestyle alternatives to mainstream society, and, among many other positive things, allowed me to spend a lot of much-needed time outdoors. My partner, Tim, met me up in Asheville for a wonderful two-week reunion. 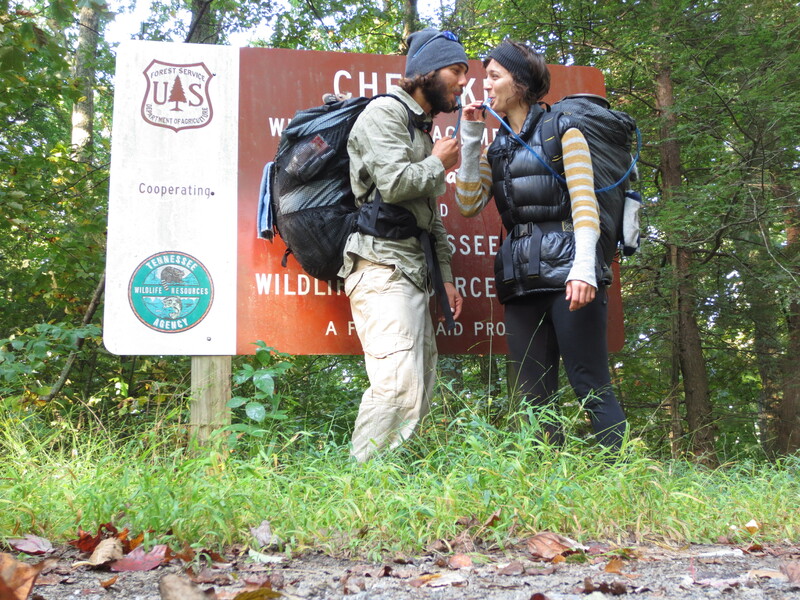 Four days of this time we spent hiking on the Appalachian Trail. Hiking along the Tennessee-North Carolina border. I’d like to share a couple photos of something I did get to make myself at Long Valley farm. After mentioning to the family that I was interested in food fermentation and had done two apprenticeships with fermentation author Sandor Katz in Tennessee, they asked me if I would like to make some sauerkraut. Of course I obliged! 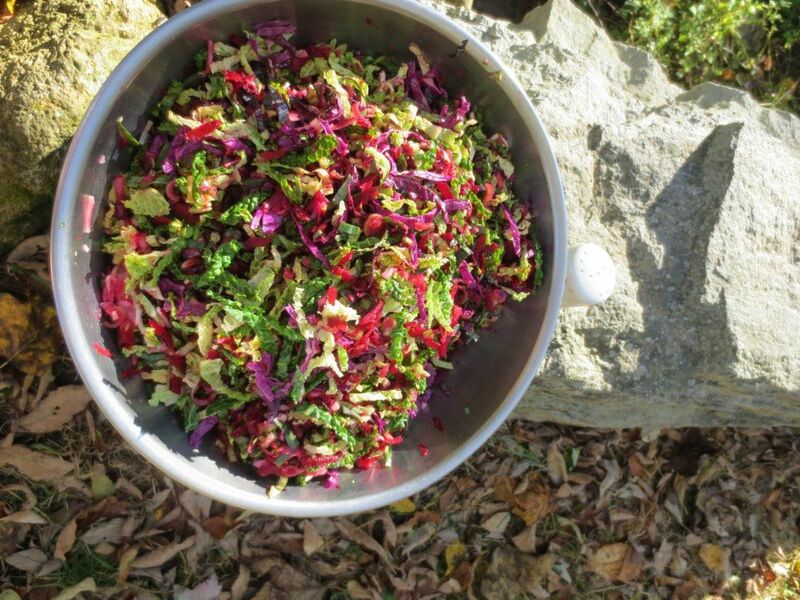 I spent a sunny autumn afternoon picking cabbage and carrots and used some already-harvested beets, garlic and cayenne to make this kraut-chi, a mixture of sauerkraut and kim-chi. After chopping up the vegetables. The Southeast Women’s Herbal Conference was just as magical as it was at my first attendance last year. Again, I was able to secure a work-exchange position, this year as a teacher support person for the Intensive classes. This position meant I helped the teachers move their materials to the tent, set up, mic up, pass out papers and tasty samples, and anything else they might need an extra hand with. It was such a wonderful position to have! (Last year I did dishes and directed parking.) It was fun to get to interact with the teachers more and to help the Intensives run smoothly. 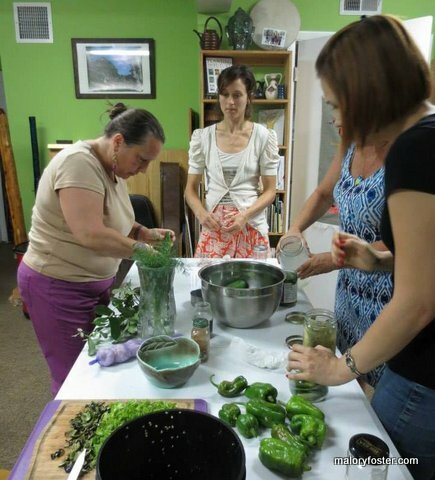 I enjoyed each of the classes I attended and learned so much not only about herbal medicine and healing, but, like last year, felt such a sense of empowerment and sisterhood with the women there and everywhere. 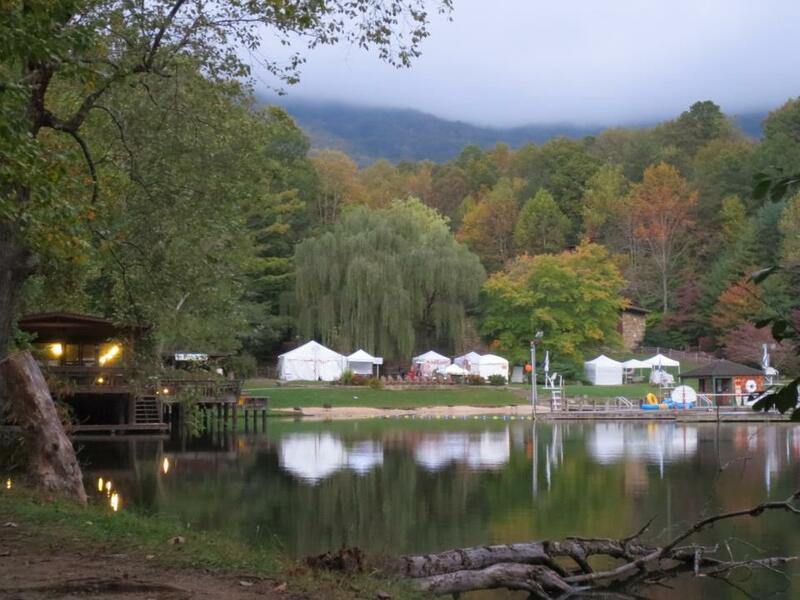 The morning view of the conference grounds from my tent. The big decision ahead for me involves graduate school. I’ve been accepted to attend Green Mountain College’s Master of Science in Sustainable Food Systems program. Green Mountain College, located in Poultney, VT, was ranked number one green school by the Sierra Club in 2010. The program is mostly online, so I would be able to continue living in Florida. On the pros side are: I’d love to study all that the program has to offer on sustainable agriculture and food policy and history, I’ve always wanted to go to grad school, and it will set me on a path more in line with my values. On the cons side… well there’s really only one con: the cost and its implications. Since I’d rather not take out a loan, this leaves me currently looking for a full time job. I plan on applying for a scholarship offered by Annie’s foods; however, the results aren’t announced until April of next year; my program begins in January. I still think it’s worth a shot. Unfortunately, I don’t think my program, since it’s distance learning, offers any graduate assistantships or teaching opportunities. If anyone reading has any ideas for garnering scholarships or paying for grad school, I’d be grateful to hear them! It has been amazing readjusting to life in Florida. I’ve relished in seeing my loved ones more often, enjoyed feeling summer turn to fall for the second time this year, and, maybe most of all, loved getting back into the kitchen at the Beautiful Bamboo farm, where I am living with Tim. I’ll leave you today with a couple pictures of recent creations. Copyright © 2019 Local Abundance All Rights Reserved.